Researchers at the Department of Energy's Lawrence Berkeley National Laboratory (Berkeley Lab) and UC Berkeley have discovered that as plants develop they craft their root microbiome, favoring microbes that consume very specific metabolites. Their study could help scientists identify ways to enhance the soil microbiome for improved carbon storage and plant productivity. 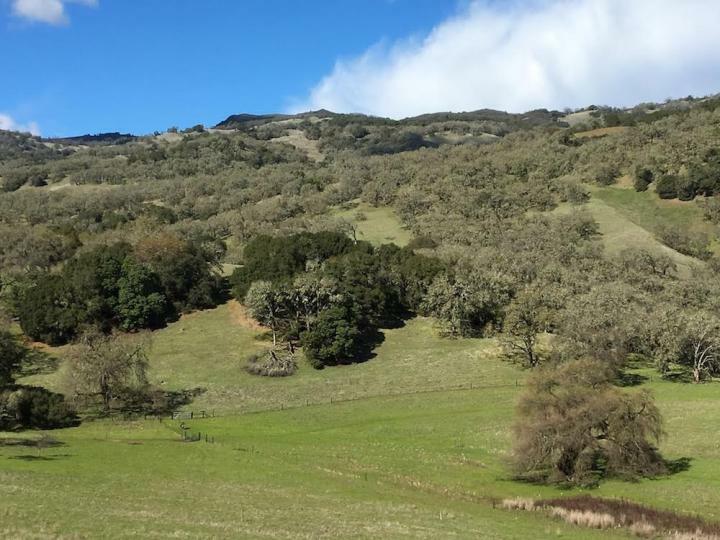 "For more than a century, it's been known that plants influence the makeup of their soil microbiome, in part through the release of metabolites into the soil surrounding their roots," said Berkeley Lab postdoctoral researcher Kateryna Zhalnina, the study's lead author. "Until now, however, it was not understood whether the contents of this cocktail released by plants was matched by the feeding preferences of soil microbes in a way that would allow plants to guide the development of their external microbiome." The study, "Dynamic root exudate chemistry and microbial substrate preferences drive patterns in rhizosphere microbial community assembly," has just been published in the journal Nature Microbiology. The corresponding authors were Berkeley Lab scientists Trent Northen and Eoin Brodie. Microbes within soil improve the ability of plants to absorb nutrients and resist drought, disease, and pests. They mediate soil carbon conversion, affecting the amount of carbon stored in soil or released into the atmosphere as carbon dioxide. The relevance of these functions to agriculture and climate are being observed like never before. Just one gram of soil contains tens of thousands of microbial species. Scientists have long known that plants impact the composition of the soil microbiome in the area surrounding their roots by sending out chemicals (metabolites). Prior work by Mary Firestone, Berkeley Lab faculty scientist and a professor of microbiology at UC Berkeley, had shown that plants were consistently selecting or suppressing the same types of microbes over time in the root zone, suggesting some form of synchronization between plant and microbiome development. Yet, little research had gone into the relationship between specific metabolites that plants release and the microbes consuming them. The new study brought together experts in soil science, microbial and plant genomics, and metabolomics to explore these potential metabolic connections. Their study took a close look at the rhizosphere of an annual grass (Avena barbata) common in California and other Mediterranean ecosystems. The Berkeley Lab team felt the time was ripe for doing so. As pressure mounts for farmers to grow enough healthy crops to meet a burgeoning population's needs, and for new land management strategies that improve soil carbon storage to reduce atmospheric CO2 and produce healthy soils, the soil microbiome is the subject of more in-depth scientific research than ever before. The researchers set out to determine the relationship between microbes that consistently bloomed near the grass roots and the metabolites released by the plant. Their first step was to collect soil from the University of California's Hopland Research and Extension Center in northern California. Brodie, deputy director of Berkeley Lab's Climate and Ecosystem Sciences Division, and his group used what they knew about the lifestyles of these soil bacteria to develop specialized microbial growth media to cultivate hundreds of different bacterial species. They then selected a subset that either flourished or declined as roots grew through the soil. This collection of microbes was then sent to the Joint Genome Institute (JGI), a DOE Office of Science User Facility, where their genomes were sequenced to provide clues as to why their responses to roots differed. This analysis suggested that the key to success for microbes that thrived in the rhizosphere was their diet. Northen, senior scientist in Berkeley Lab's Environmental Genomics and System Biology Division, is fascinated by the chemistry of microbiomes, and his group has developed advanced mass spectrometry-based exometabolomic approaches to elucidate metabolic interactions between organisms. Zhalnina and Northen combined their expertise to identify what the more successful microbes surrounding the roots of the Avena grasses preferred to eat. Using a hydroponic setup at the JGI, they immersed plants at different developmental stages in water to stimulate them to exude their metabolites, then measured the metabolites being released by the plants using mass spectrometry. Subsequently, the cultivated soil microbes were fed a cocktail of root metabolites, and the researchers used mass spectrometry to determine which microbes preferred which metabolites. They found that the microbes that flourished in the area around plant roots preferred a diet more rich in organic acids than the less successful microbes in the community. "Early in its growth cycle, the plant is putting out a lot of sugars, 'candy', which we find many of the microbes like," Northen said. "As the plant matures, it releases a more diverse mixture of metabolites, including phenolic acids. What we discovered is that the microbes that become more abundant in the rhizosphere are those that can use these aromatic metabolites." Brodie describes these phenolic acids as very specific compounds released by plants throughout their development. Phenolic acids are often associated with plant defenses or plant-microbe communication. This indicates to Brodie that as they establish the microbial community within the rhizosphere, plants could be exuding metabolites like phenolic acids to help them control the types of microbes thriving around their roots. "We've thought for a long time that plants are establishing the rhizosphere best suited to their growth and development," said Brodie. "Because there are so many different types of microbes in soil, if the plants release just any chemical it could be detrimental to their health. "By controlling the types of microbes that thrive around their roots, plants could be trying to protect themselves from less friendly pathogens while promoting other microbes that stimulate nutrient supply." Zhalnina, Firestone, Northen, and Brodie believe their findings have great potential to influence additional scientific and applied research. Zhalnina points out that a lot of research and development is currently underway by government and industry to harness the power of microbes that improve plant yield and quality of soil to help meet society's growing demands for a sustainable food supply. She said, "It's exciting that we can potentially use the plant's own chemistry to help nourish beneficial microbes within soil. Population growth, especially, has created a demand for identifying more reliable ways to manipulate the soil microbiome for beneficial outcome." Other current or former Berkeley Lab scientists contributing to this studying were: Katherine Louie, Nasim Mansoori, Dominique Loqué, Benjamin Bowen, Zhao Hao, Ulisses Nunes da Rocha, and Ulas Karaoz; Shengjing Shi and Heejung Cho of UC Berkeley were also co-authors. The DOE Office of Science supported the research. This work was done in part through the JGI Community Science Program.